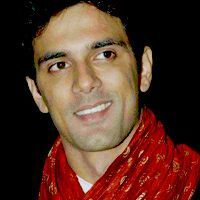 Check out the most updated and latest information about Anuj Sachdeva's on the Internet.We have 39 videos of Anuj Sachdeva including interviews, events, or public appearances.Anuj Sachdeva has over 437 Fans registered on India-Forums.com. We have 142 Television News articles related to Anuj Sachdeva.Do share your criticism, comments and feedback for the Actor on Anuj Sachdeva's comments page. We have over 51 Photos of Anuj Sachdeva to view and download including Anuj Sachdeva's Wallpapers. U r rocking as sahil in SwaRagini. Jz hope no exit of u n sahil ends up with uttara..
Anuj Sachdeva, you are too good as Aman in Itti Si Khushi. Anuj sachdeva luving u as aman..
looking forward to more of Aman & Neha!